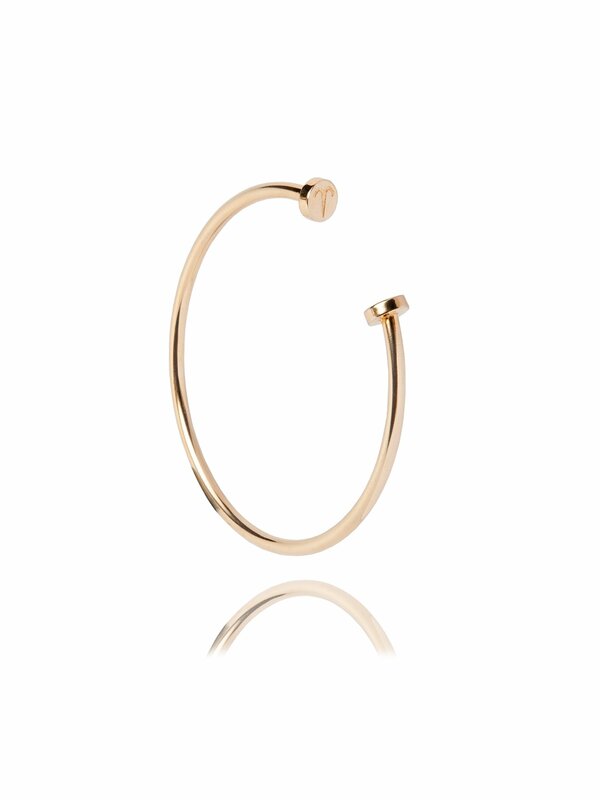 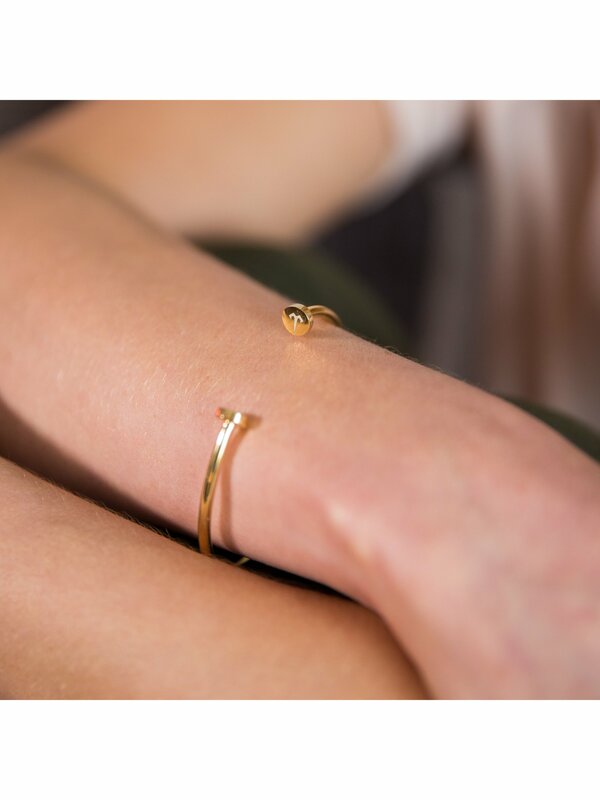 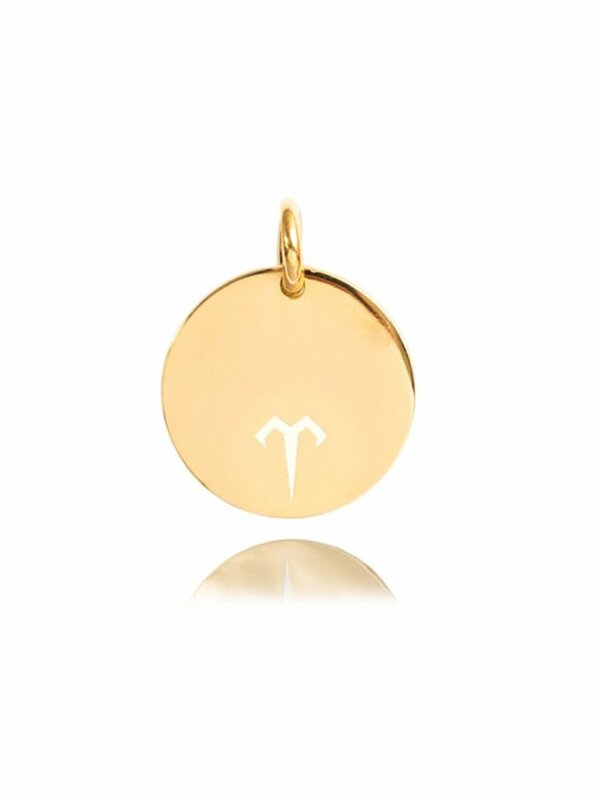 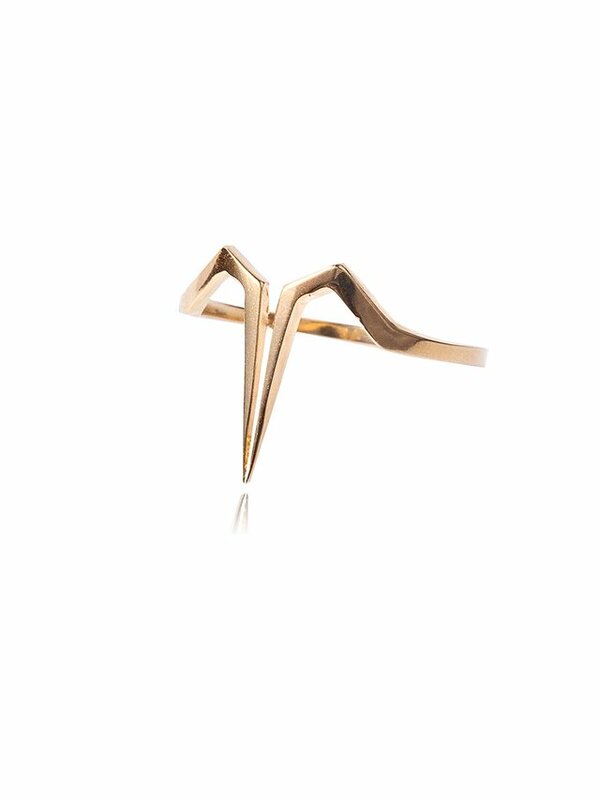 The Ternary Timeless 18ct Gold Vermeil Plated Sterling Silver slim cuff is an everyday accessory must have. 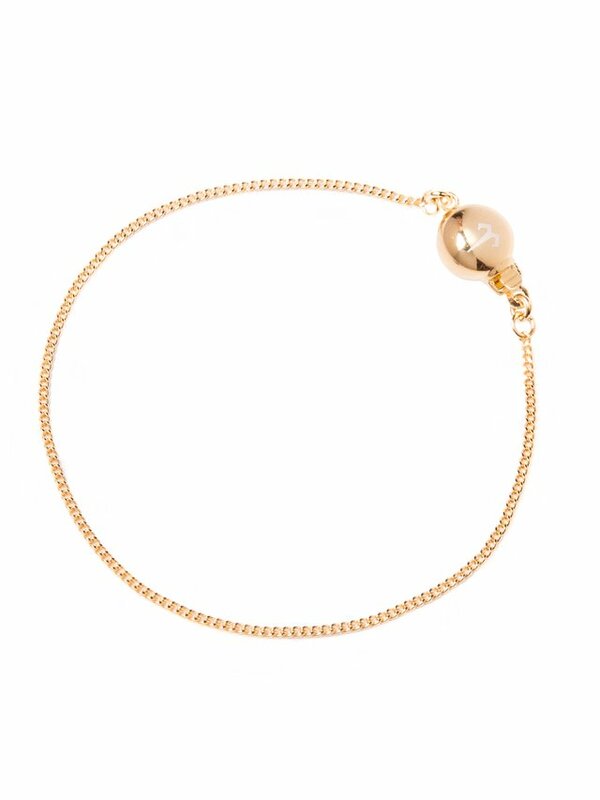 This smooth bracelet is finished with two nail head ends and looks perfect on its own for simplistic styling or mixed and matched for a layered look. 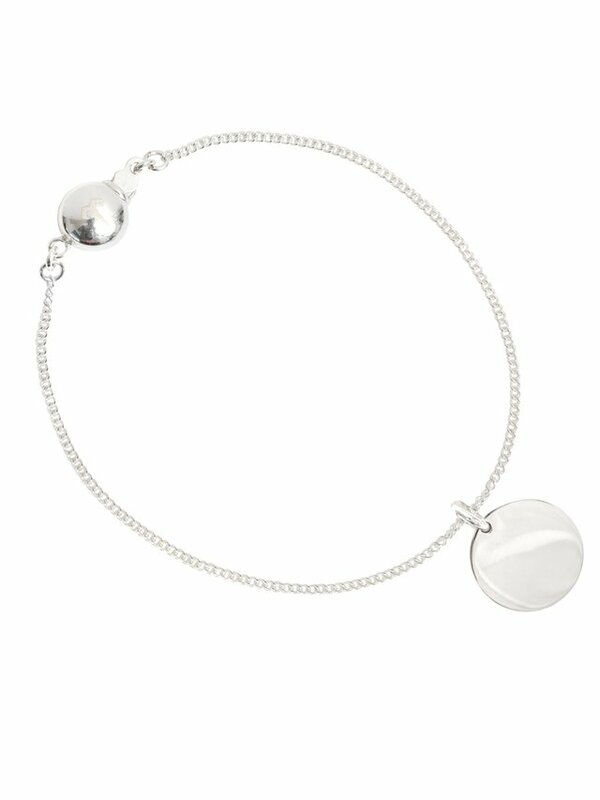 The bangle is 3.5mm thick with a 55mm inside diameter.